The poster of the unreleased film. 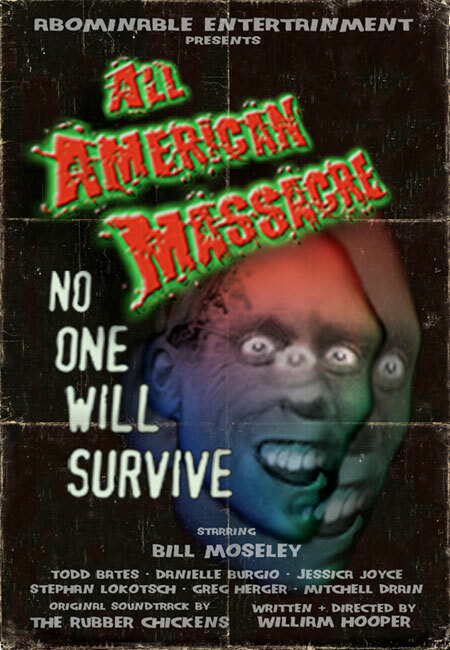 All American Massacre was supposed to be a spin-off of Texas Chainsaw Massacre 2, starring fan-favorite Chop Top with Bill Moseley reprising his role as the character, directed by William 'Tony' Hooper, son of Tobe Hooper, the director of the original two films. Despite having been completely filmed with an expected theatrical release, it has never been released. The film was to act as both a prequel and sequel to Texas Chainsaw Massacre 1 and 2. Set years after the events of the Texas Chainsaw Massacre 2, Chop Top has been captured and placed in a psychiatric prison. We'd see various memories of his family throughout the film, as he was interviewed by a tabloid. Chop Top would then escape and start a new Massacre, an All American Massacre. The film began as a 15 minute short, shot on high-resolution digital video, but was eventually turned into a 60-minute feature. It started production in 1998 and finished in the year 2000. The score for the film was composed by Buckethead. 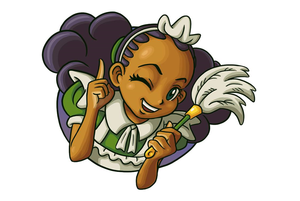 While the reason for it not being released is unknown, it's speculated that rights issues are the case. The film uses Texas Chainsaw Massacre characters, included Leather face and the rights to the series are constantly changing. The entire production also seemed to be unauthorized. It's rumored they were scared to release it as they felt it would just further damage the series after "The Next Generation" came out. However, Tony Hooper said this was not the case and it was just due to money problems during post-production. There has been a Facebook account and website teasing its release. There was even a Kickstarter which failed to reach its goal. Bill Moseley doubts the film will be released. Not much has surfaced of the film. A teaser trailer was released on the official website along with some interviews of the cast, but other then that, almost nothing of the film has surfaced. As of 2018, the website is down. A bootleg copy of the film has been rumored, but there's no confirmation of its existence. Dr Wolfula's video going over the history of the film.